This is a large version of our classic carrot. Our large felt carrots is handmade using a needle felting process and finished off with hand embroidery. 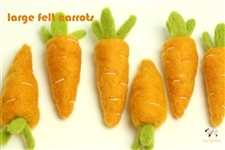 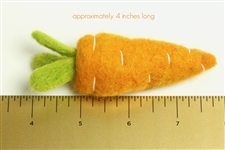 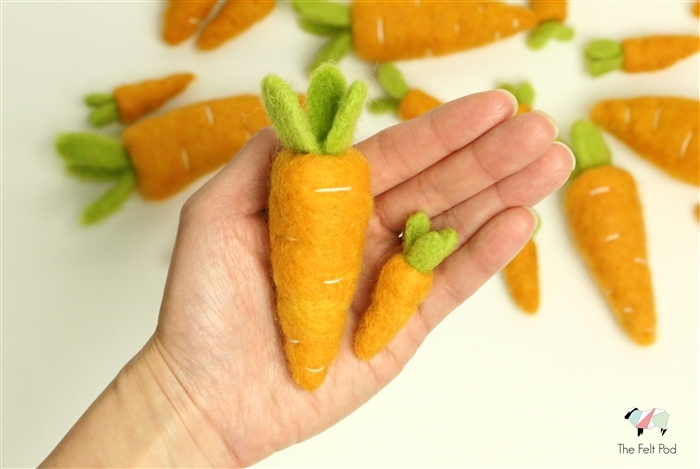 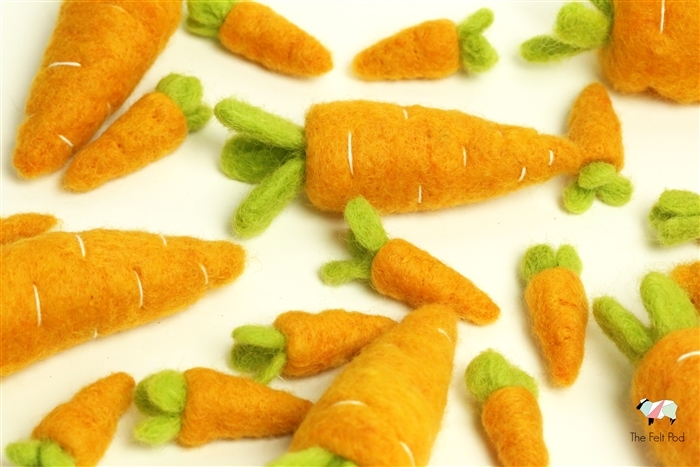 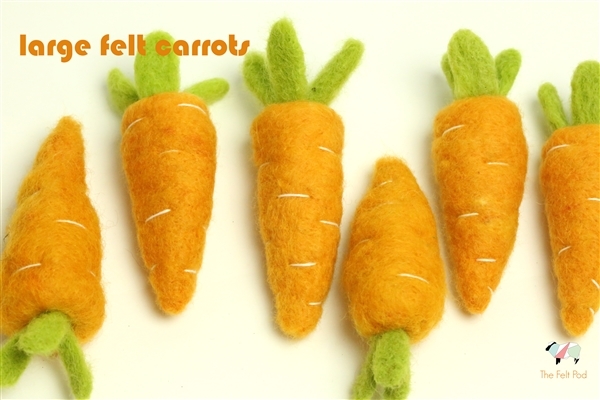 These felt carrots are about 4" in size and are great for Easter decorations. 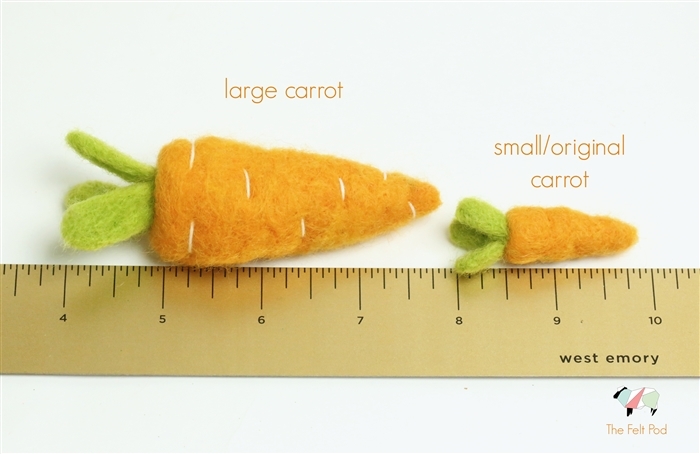 They string beautifully into a nice Easter garland.